How Frank Ocean gave the major label system the middle finger and blazed his own path to creative success. One-thousand dollars isn’t enough to fund a dream in music, let alone a nice enough mattress to have dreams upon. A lack of sufficient funds didn’t discourage a young Frank Ocean, though, who, at the time, was singing under his government name of Lonny Breaux. Frank decided to live the life of an artist and departed from his home in New Orleans to the unknown and uncertainty of Los Angeles. The demo tapes he took with him were worth more than the dead men in his pocket, they were the lottery tickets he gambled upon; the keys to unbolt locked industry doors. He was chasing after quality, planning on using the money for recording those demos in LA studios. What was supposed to be a trip lasting only six weeks became a new life on the West Coast. The beauty of a dreamer is his or her ability to contain the naive innocence of children, to believe beyond the reality of logic and twist faith in their favor. The story of Lonny Breaux is the story of a dreamer. Six weeks turned into four years before Lonny Breaux was able to sign a record deal, while odd jobs and songwriting allowed him to make a living. The demo tapes didn’t turn him into a star, but they allowed him access to rooms where stars were already born. That’s where he met Tricky Stewart, producer and A&R for Island/Def Jam. Stewart was well-known in the industry for working with songwriters like The-Dream, Rihanna and Justin Bieber. He was the man Lonny needed to take his career from songwriter to artist. In his 2016 interview with The Fader, Tricky recalls how impressed he was by both singing and songwriting; astounded to the point of wanting nothing more than to sign Breaux as an artist, a solo singer who would pen for no one else. It was the dream come true, discovering someone who has the keys to the kingdom―not a seller of fantasy but a gatekeeper willing to let you in. Just before the wheels could turn, though, Tricky left Def Jam without getting Lonny&apos;s career in motion. Lonny was left on the label, left on the shelf. "The label wasn’t motivated by the signing. They didn’t give him the respect that I thought he deserved. I couldn’t really get Def Jam to respond to him the way the way that I wanted them to respond to him. At the time, with every record I was doing for Def Jam, we were on fire, whether it was Justin Bieber or Rihanna. I&apos;d worked with The-Dream at Def Jam, and he had done extremely well, with Love/Hate and Love vs. Money. So I’m thinking it’s going to be gravy bringing my next guy through. The truth is, if it wasn’t for Chris Clancy and the Odd Future team embracing Frank, we may not even know who Frank is today. On the Def Jam side, I couldn’t get nobody to pay attention to him. In that moment, we lost Frank Ocean—as a major record company, and from this industry as we knew it. When the label rebuked him and he found himself, the label lost it for everybody involved." 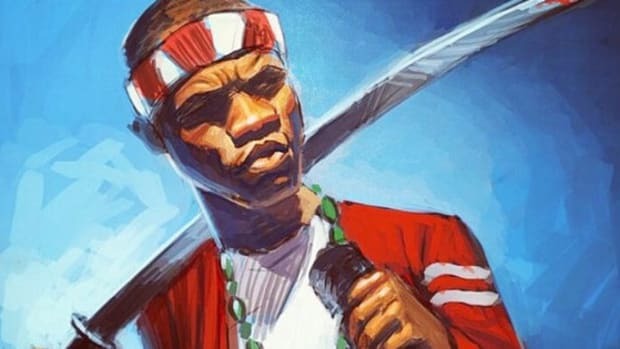 —Tricky Stewart, "Tricky Stewart Gave Frank Ocean His First Record Deal. Now He Says Labels Should &apos;Wake Up.&apos;"
Positions are in constant flux in the music industry. The old guard shifting can leave an artist unattended, ignored and forgotten. The door opened and closed for Lonny, he was in contracted confinement with no assistance and no way out. 2009 was the year Lonny signed to Def Jam, and the year that followed is when Lonny connected with Tyler, The Creator and Odd Future. He was older, more mature than the collective of outspoken misfits, but he found them to be what he needed. They were a source of inspiration to break the rules and continue pursuing a career in music. The group reminded him that it was possible to do it himself, bringing new life to an old goal. 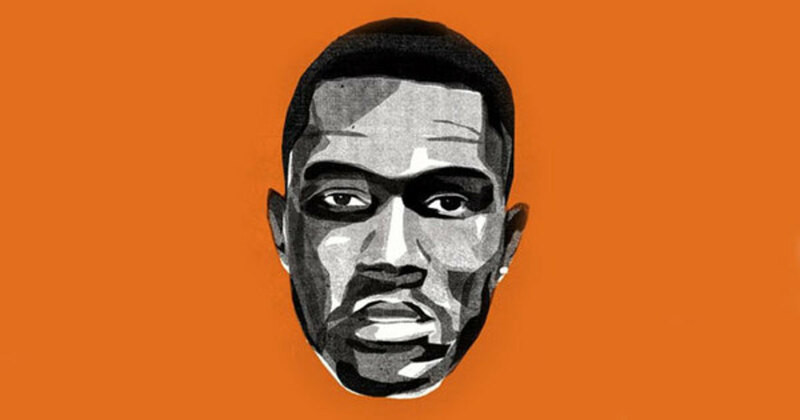 He changed his name from Christopher Edwin Breaux to Christopher Francis Ocean; from Lonny Breaux to Frank Ocean. He did everything the label was supposed to do―his self-sufficiency is the only reason his debut mixtape saw the light of day. There&apos;s a great breakdown in Frank&apos;s interview with Waxpoetics: "I didn’t want it to sound like a mixtape. It wasn’t a mixtape to me; it was an album just as much as any other release was—it just wasn’t in the major-label system. So I treated it like that, I A&R’d it like that, I recorded it and mixed it like that. I spent time and money on the mixes. I didn’t have a lot of money to be spending racks on mixing it. So it was definitely a labor of love and a passion. It just had to get done, as far as I was concerned. It was the only way that I could be heard in the way that I wanted to be heard." Not only was the album an internet success, but Frank was also able to send the biggest middle finger toward the label who left him without a rope to climb up from the abyss. The first win was executing a release underneath their nose, but the true victory would come when Def Jam came running to sign Ocean, again. Based on Tricky’s 2016 testimony, three weeks after Nostalgia’s wildfire the label would attempt to court Frank like a kid from Atlanta with the latest viral trap hit. They didn’t even know about the name change and were the last label to the party―simply chasing after the noise, pulling out their checkbook for whoever was making all the ruckus. I can&apos;t help but wonder if this was all a part of Frank’s calculations, using their brash ignorance as leverage for more money, or more resources. He couldn’t wait to publicly denounce the label, but when the option came to sign with any label, he once again chose Def Jam. In the 2012 interview with GQ, Frank broke down his demand: "Give me $1 million if you want the next album." "Is the label more hands-on with this project? Do you still have the space to function as independently as you did with the first album?" It took Frank six years before the $1,000 he brought to LA became $1 million from a major label. When Lonny Breaux became Frank Ocean and decided upon a path without assistance, something more than a name changed. The very idea of a traditional career and being under the thumb of a label was thrown away. He knew what it was like to be shelved, tasted the life of an artist trapped, and also saw the power in being an artist who does it alone, independently. Def Jam was able to get Channel Orange in 2012, the album they paid for, but Frank Ocean didn’t belong to them. Tricky said Def Jam created a monster with Frank—no, they awakened the dreamer who didn’t accept the terms and conditions of an industry broken. 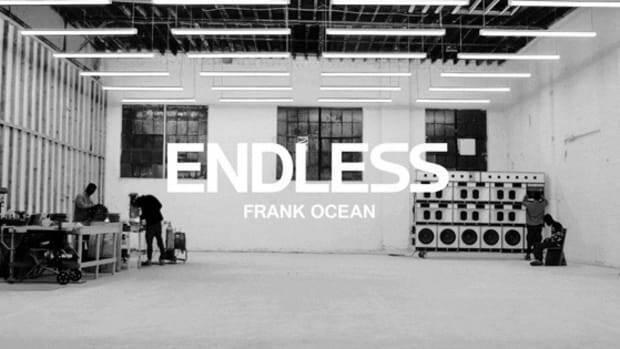 Four years after Channel Orange, the visual album Endless was released. A few days after that, Blonde was released. One album under Def Jam, one album completely independent. 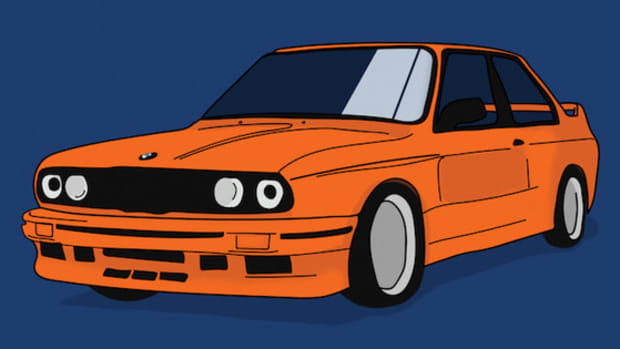 As with Nostalgia, Ultra, the internet was in a complete frenzy over the unexpected second project. I don&apos;t know how much revenue Def Jam made from Endless, but as it was released only as a visual and not an album that could be streamed or bought, I have to assume it was very little. Blonde, on the other hand, would chart at No. 1, selling 275,000 copies in its first week. It was later reported that Frank would potentially make $1 million in profit from that first week. The same amount that Def Jam paid for Channel Orange was made back in the first 7 days of Blonde. For the second time in Frank&apos;s career, the label was left staring at a fully erect middle finger. One can draw a cool parallel to Dave Chappelle, who turned down $50 million dollars from Comedy Central to eventually make $60 million from Netflix years later on his own terms. “&apos;A seven-year chess game&apos; is how he described the process of buying himself out of his contract and purchasing back all of his master recordings — using his own money, he said." —Jon Caramanica, "Frank Ocean Is Finally Free, Mystery Intact"
The above quote comes from Ocean&apos;s lone interview since the release of Blonde. If Frank truly has been planning this checkmate on Def Jam for seven years, the Ocean&apos;s 11-esque plot dates back to Nostalgia, Ultra. Ironically, his name change was inspired by Frank Sinatra and the Steven Soderbergh heist film. Quietly, the change of his name foreshadowed one of the biggest heists the music industry has ever seen. During his four-year absence, Frank&apos;s time away was spent crafting all the content he released in 2016 but also allowed him four years to reset―new management, a new lawyer and a new publicist replaced his former team. If his goal was to remove Def Jam from his pockets, it would have been counterproductive to release music for them to reap benefits, or to tour with them seeing a percentage. Like any great heist, you need the proper team to ensure the highest level of success. Frank&apos;s robbery was Reservoir Dogs without Mr. Orange to foil the plans. The reason we are now seeing new music from Frank on such a regular basis is due, very simply, to his newfound artistic freedom. He stated in his NYT interview that he is free from a label, free from operating through the outdated laws that have been accepted as the norm. No one can voice disdain for dropping a single on Apple Music and an alternative version on SoundCloud. There’s no label head to meltdown due to a lack of promotion behind the singles; the old guard would have screamed to the heavens as “Biking” dropped while “Chanel” was still scorching the internet. In an industry going through the biggest change since Napster, Frank is able to navigate the industry&apos;s ocean without being held down by the weight of outside opinion. The independence he sought was earned, the fruits of his war are finally starting to blossom, and the popularity around his name continues to grow without sacrificing anonymity. 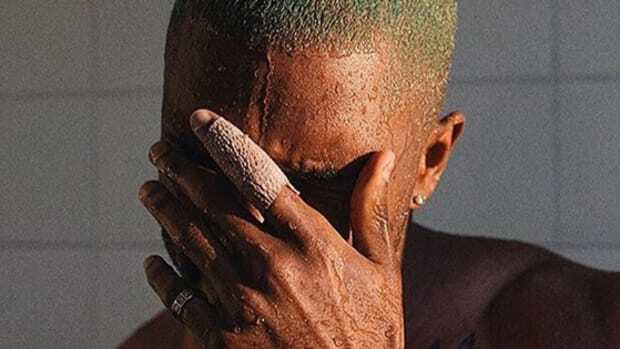 "After an interminable wait (in music industry standards, at least), Ocean fulfilled his contractual obligations, sources tell Billboard, and increased his potential profit share from 14 percent to 70 percent of total revenues from Blond within a 24-hour period, seemingly pulling a fast one on the biggest music company in the world in the process. Def Jam and its parent Universal, stuck with an overshadowed visual album that isn&apos;t for sale, and cut out of any revenue from the "proper" album that&apos;s headed to the top of the charts on the strength of 225,000 to 250,000 equivalent album units earned in the week ending Aug. 25, were left with what amounts to a very long music video and without one of their marquee artists." —Dan Rys, "Frank Ocean&apos;s Album Is the Straw that Broke Universal Music&apos;s Back"
The label wasn’t able to claim Blonde. They lost an album, but more importantly, they missed out on all the content after it. Ideally, the Blonde rollout should still be ongoing, but the system doesn’t rule everything around Ocean. 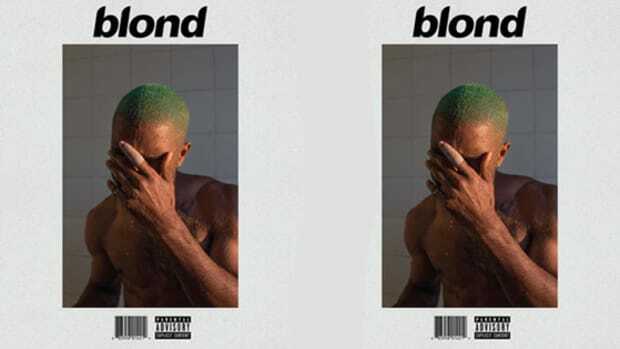 He is a rule-bender, a master of his own universe, and before a second video could surface from Blonde, new music has been released. "Chanel," "Biking," "Lens"—fantastic, album-worthy singles with star-studded features and second volumes. Blonded Radio is presenting new music on a medium where Frank can reach fans and still stay reclusive from the spotlight. He&apos;s able to utilize and benefit from new forms of connection without sacrificing an ounce of his mystique. Fans have access to his favorite oldies and the new school artists he&apos;s breaking through his curated playlists, a kaleidoscope of genres and eras that take new ears from OutKast to Céline Dion to Biggie to Pixies to Aphex Twin—and that&apos;s just in the first episode. When Jay Z appeared on the show&apos;s debut episode, the surprise guest was only further incentive to tune in. Each broadcast is unlike the last; no one expected Young Thug on a remix for a song from Endless when Episode 005 surfaced (early on a Monday morning, of course). It was suspected that Frank had abandoned Endless, his final tie to Def Jam, but once again, he’s thinking differently than the rest of us. Other than Drake and Chance, no other artist has Frank’s pull through Apple. Attention for his radio show grows by the day, his singles are taking over the internet one-by-one, and that&apos;s not even mentioning a potential summer smash hit with Calvin Harris and Migos. After taking four years off—four years of absolute silence—Frank Ocean has had a near-flawless start to 2017, and he&apos;s doing it all while playing by his own set of rules. The story of Frank Ocean is the story of control; one man’s mission to walk in the shadows and take all he lost in the light. He waged war against the labels, leaving victorious and still able to captivate the world. Instead of going the route of traditional radio, he is becoming one of the biggest winners through the digital medium. Frank rejected the rules, fought against tradition, and is taking full advantage of this hyper content age without drowning listeners with his presence. He has his masters, he&apos;s making all his money, and he isn’t showing any signs of slowing down. There’s no telling what is next, and that’s the beauty of independence―anything is possible. I don&apos;t even think Frank is planning a new album, not when he just escaped the album format. When Frank ceased being the starry-eyed dreamer expecting the industry to do right by him, he started living a dream few artists will ever get to see. He has done it again and again, and there’s still no label on his album art. 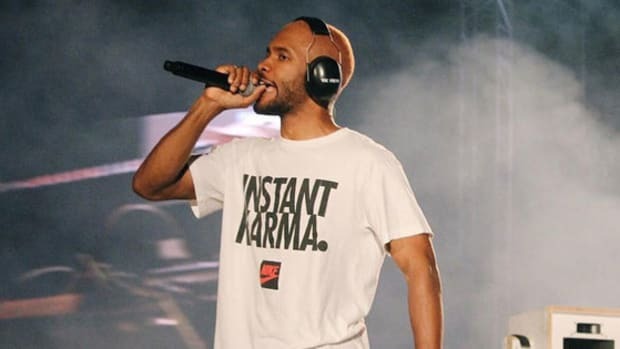 If you don&apos;t remember Frank Ocean for anything else, remember him for being an artist who refused to live within the burning home his record label left for him. If reports of Frank Ocean leaving Def Jam are true, this could mark a major turning point in music. 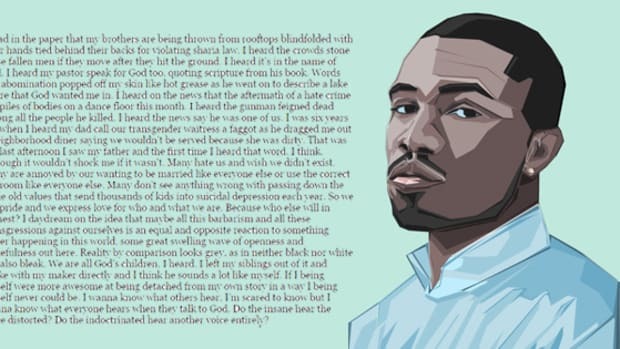 Frank Ocean may have disappeared from music, but his writing is some of today's most powerful art. Frank Ocean has finally returned, but he isn't the artist he was four years ago. One of today's most acclaimed voices can out-rap many of your favorites. Frank Ocean's long-awaited new studio album is his most adventurous project to date. FYF Fest was proof that Frank's live performance is an enhancement of all the themes from his mastered works.